← Long Winter ~ Dreaming of Spring! One Last Feast before Lent! It only happens once a year, the day before Lent. The only day we allow so many sweets and food all at once. This year, on what some call Fat Tuesday, was no exception. Our son-in-law is always looking for an excuse to gather and have fun together so when he phoned early Tuesday morning to ask if we were ready for a feast, of course I said we were! 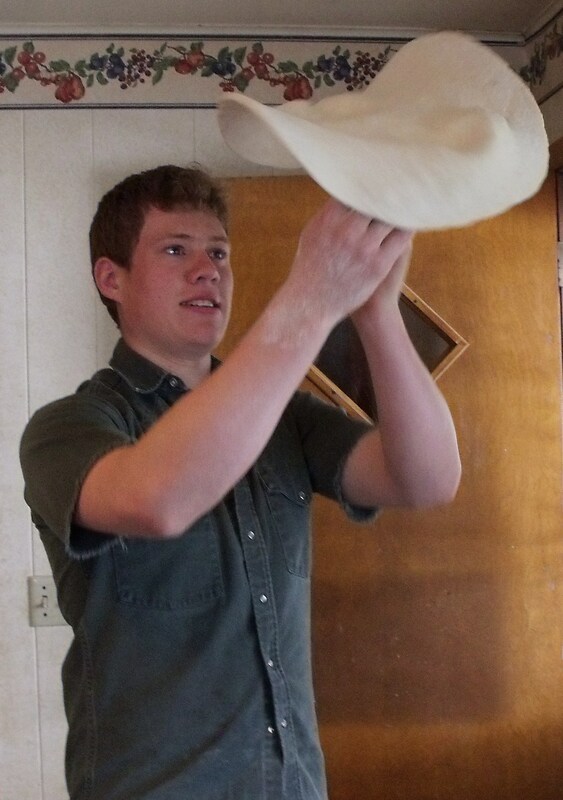 He suggested that he make the pizza and I make the Stromboli and Frenchy was going to make homemade donuts. He was then informed that the girls had been baking apple pies and were making up a batch of homemade vanilla ice-cream! It turned out to be a very fun afternoon in our kitchen. I wish each of you could have smelled the room!! As with any party, there ended up being a ton of leftovers, but not of the Stromboli. We froze an extra apple pie, a bowl of donuts and the kids ate the leftover pizza today. What seemed like a well planned evening didn’t really go as planned. Luke and Clayton showed up late from a day of shearing out in South Dakota. Then the semi truck hauling 28 Tons of coal out of North Dakota arrived very late and after dark. He actually got stuck on the end of our driveway which has a gate and is hard to navigate under normal conditions with hay racks, trailers and in this case a 48 foot tractor-trailer. The angels must have heard our prayers because somehow he was able to maneuver his way in to our farm-yard! At one point we all held our breath as it appeared as though he would tip over with the very heavy load. There was a ton of snow and ice on the road as well but with the addition of ashes placed on the road and tires thankfully there was no mishap. In the meantime, we girls played Uno, bounced babies and waited patiently for the boys to come in for pie and ice-cream. Unfortunately, it took even longer to unload the coal which was another scary event. The driver backed the semi into our quonset with barely a couple of inches left on top. 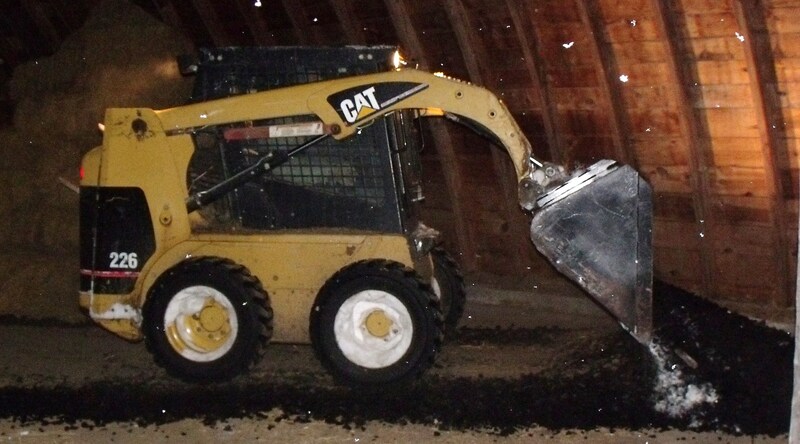 Then Fred had to use the skid loader to stock pile the coal in the back of the building. 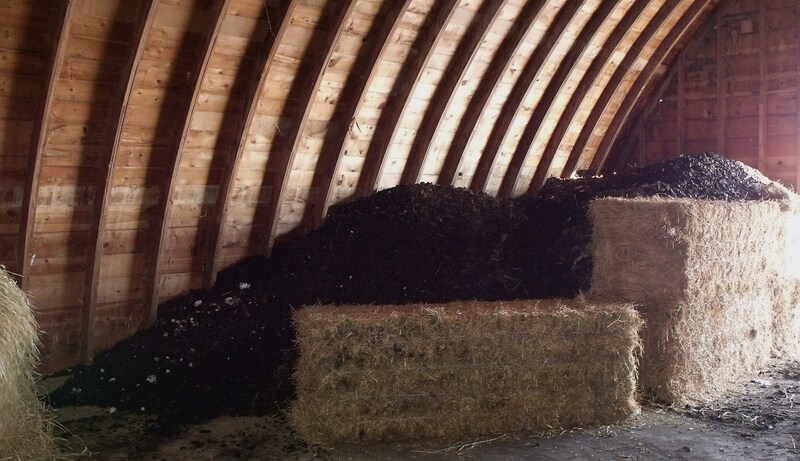 I might add that the kids were worried we would not have a barn dance with all that coal taking up room but he assured them that it would be way in back and there would still be just as much room for dancing. 9:30 p.m. we all gathered for pie and ice-cream and the truck driver happily joined in before heading out to the Dakotas for another load to pick up. Later we watched one last Gun Smoke since there will be no Friday night movies during Lent. (We don’t watch any “real” T.V.) There also won’t be any sweets or treats for anyone during Lent. Then, each of us has our own list of things to give up as we prepare our souls for Easter. There is spring to look forward to next and we’re already planning to plant our potatoes on Good Friday, snow or no snow:) This year it will be later so there is a very good chance that our tradition will be carried through. The girls planted a bunch of the garden seeds and flowers down by the wood stove which is a definite sign that the winter may be coming to an end. We hope you have a fruitful Lent and are able to hold to your resolutions and penance. This entry was posted in EVERY DAY FARM LIFE and tagged feast before lent. Bookmark the permalink. 1 Response to One Last Feast before Lent!